The kind of loyalty model I will be discussing in the next several blogs is a basic business model that is often used in strategic management. The basic premise of the model is that customer loyalty leads to profitability. The purpose of this model is to develop an understanding of the business components that contribute to the loyalty of the customers. In this blog I will describe the general loyalty model and a sub-model which feeds into the general loyalty model. The hypothesis upon which the loyalty model is based is that loyalty is a direct function of the strength of the relationship between the company and its customers. Logically this makes sense since a strong relationship between the company and its customers should produce greater loyalty than a weak relationship. The heart of the loyalty model is built around understanding the components that make up the strength of the relationship. There are many variables that contribute positively or negatively to the strength of the relationship. Recent experiences between the customer and company would be an obvious component of the strength of the relationship. A single experience between customer and the company may not significantly influence the strength of the business relationship. In fact, there is a “zone of tolerance” that ranges from minimally acceptable to extremely exceptional. As long as the other factors exist even an incident that was less than minimally acceptable may not change the strength of the relationship. Of course, this assumes that any negative experience may be resolved by the company. Otherwise, there may indeed be a negative change to the strength of the relationship between that individual customer and the company. Loyalty = constant x (strength of the relationship). The value of the constant associated with the strength of the relationship will vary with respect to product, geography, and possibly other variables. Thus, a company with multiple products may have a different strength of relationship with their customers based solely on the product. An example would be the strength of the relationship between the Apple iPhone and its customers versus the strength of the relationship between the Apple iPad and its customers. iPhone users are known to have a very strong loyalty connection with Apple; whereas, iPad users may not have the same level of loyalty. The strength of the relationship (loyalty) is another way of describing the business relationship between the company and its customers. The model proposed would consider variables such as level of satisfaction, recent experience, product quality, commitment to the relationship by either the company or, the customers, and the bonds may exist between the company and its customers. The bonds that exist between the company and its customers may fall into a number of categories; such as, legal bonds (contracts), technology bonds (shared or licensed technology), knowledge bonds (shared information), social bonds, geographical bonds, cultural or ethnic bonds, and economic bonds. There may be other bonds as well. The fact is there are many bonds that may exist and give strength to the relationship between the company and its customers (such as loyalty points). S (Strength of relationship) = function of (recent experience, level of satisfaction, product quality, service quality, commitment to the relationship, and appropriate bonds). This model presents a challenge of quantifying each variable and assessing the strength of the relationships between each variable. This model can be simplified by assuming minimum interaction between the variables contributing to the strength of the relationship and assuming the variables are linearly related. This discussion will be continued in the next blog where a simplified version of this loyalty model will be presented with an example. 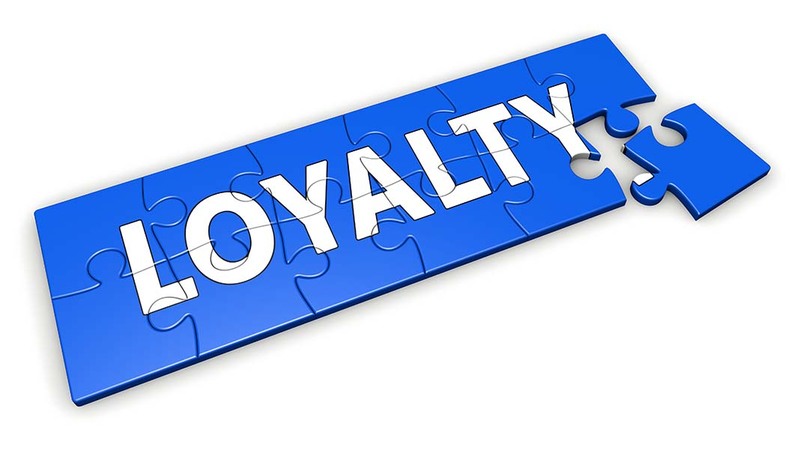 At this point, a simple loyalty model is presented that includes most of the significant variables that are usually included in loyalty discussions. Be curious.